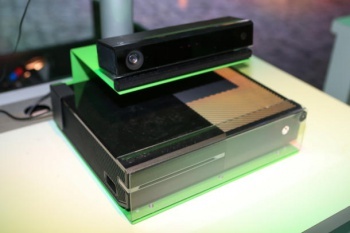 We didn't want the Xbox One to become an awesome pirating machine, Penello claims. During a NEOGaf Q&A, one user asked Albert Penello, Microsoft's Director of Product Planning, whether or not those pesky digital DRM practices would ever return to the Xbox One. Would there be a once-every-24-hours check in, would Kinect need to be constantly on, would users not be able to share or lend disc games? Penello said he doesn't think those policies are ever coming back, and added that the only reason they existed in the first place was because there was no security on the disc itself, as all the licensing was digital. "When you build that type of model, then you need to make sure people can't install games on a bunch of machines, then unplug them," said Penello. "That would have made us an awesome Pirating machine." Now Microsoft has gone back to disc based DRM, all those digital policies aren't needed any more. That doesn't mean they won't ever be back, but if they do return, it will be because the digital policies returned as well. "You can imagine a world where we have both types of models at the same time," says Penello, but as for making the digital DRM policies retroactive - "which seems to be the issue I hear people worry about," says he - that's not going to happen. The Xbox One's digital DRM was one of its biggest negatives, and its policy reversal is one of the reasons why the Xbox One's looking much more palatable now. "You told us how much you loved the flexibility you have today with games delivered on disc," then-Xbox head man Don Mattrick said at the time. "The ability to lend, share, and resell these games at your discretion is of incredible importance to you." Here's hoping Penello's right, and that digital DRM isn't due back any time soon.